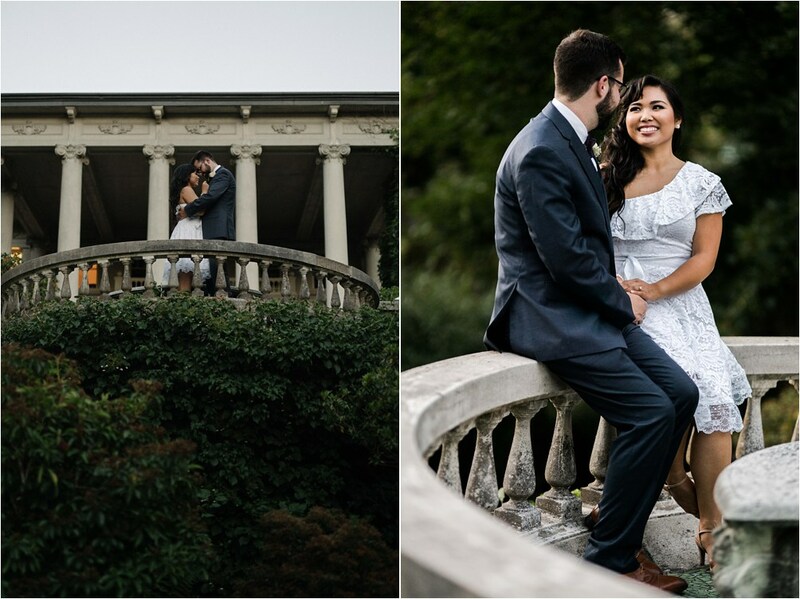 I recently photographed Cameron and Trisha’s Hycroft Manor Filipino Fusion Wedding. It was such a wonderful experience working at this venue. 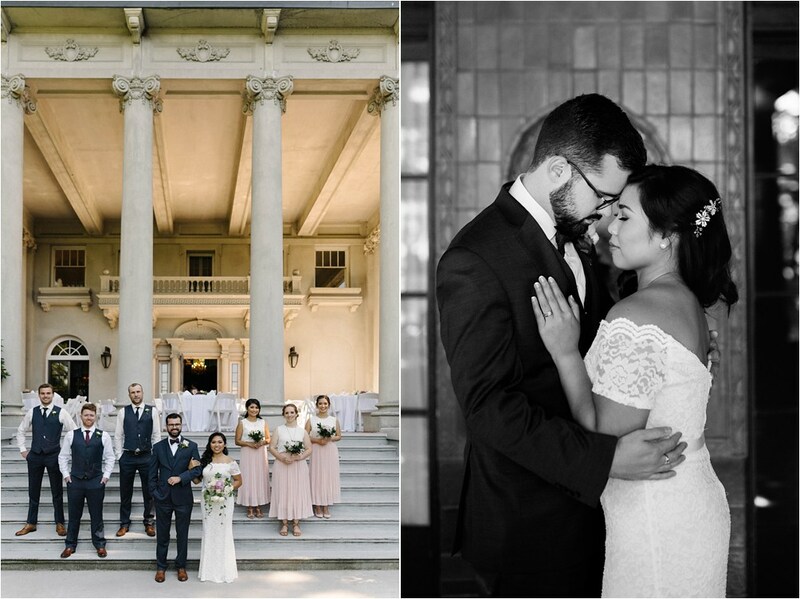 For one thing, Hycroft Manor and the surrounding grounds are simply stunning, which made for a beautiful wedding reception. 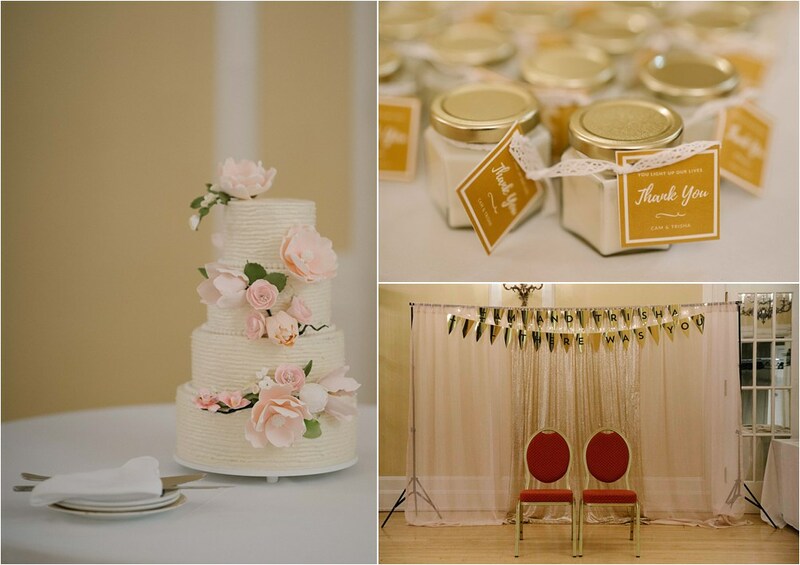 Additionally, throughout the process, I had the joy of working with the Hycroft wedding liaison, Julie Bernard. She was great to work with! 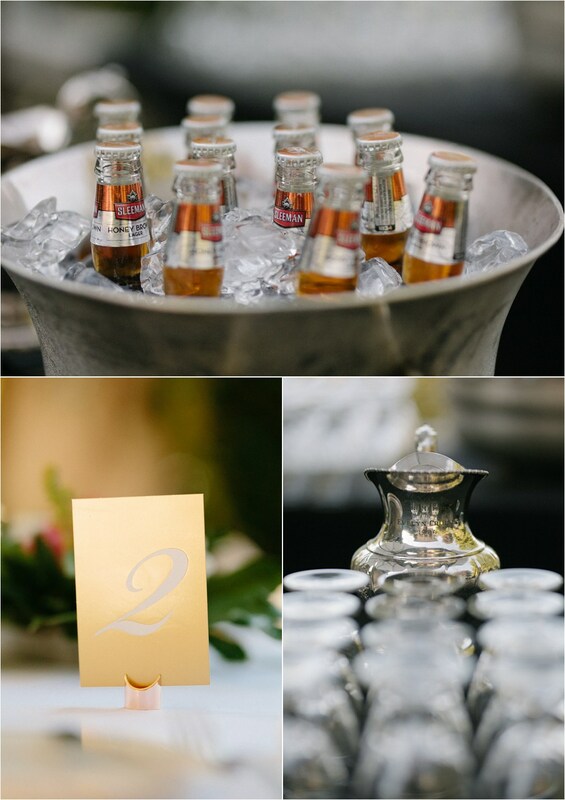 She also definitely put together a beautiful event for the bride and groom. Thanks, Julie, for being so fantastic! 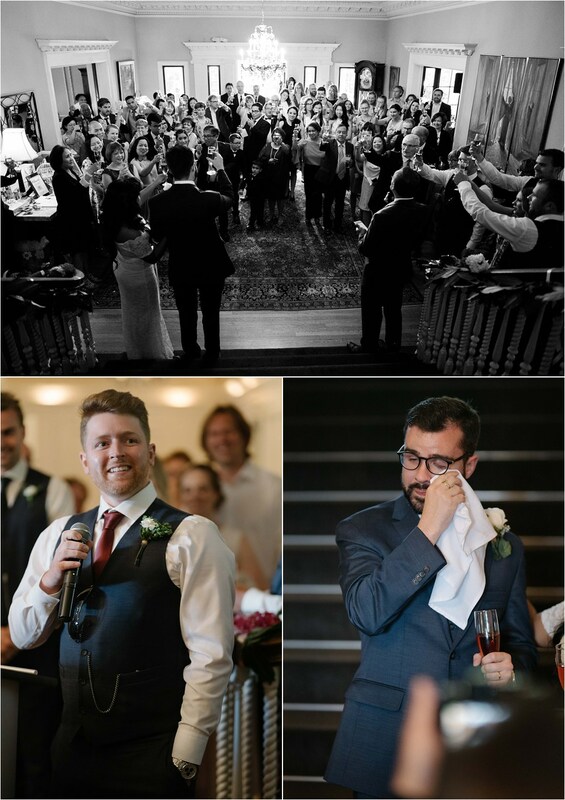 As always, I want to share a bit about the couple, their love story, and the details of their big day. 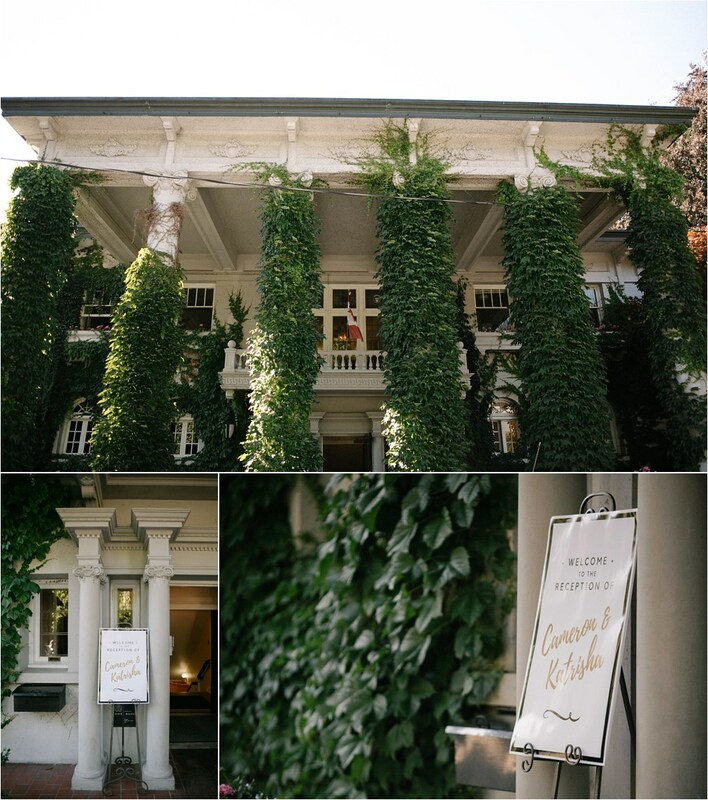 Hycroft Manor really was a perfect venue for Trisha and Cameron. I say this because the setting, like the couple, really illustrates the timelessness of true love and its ability to transcend across all cultures. 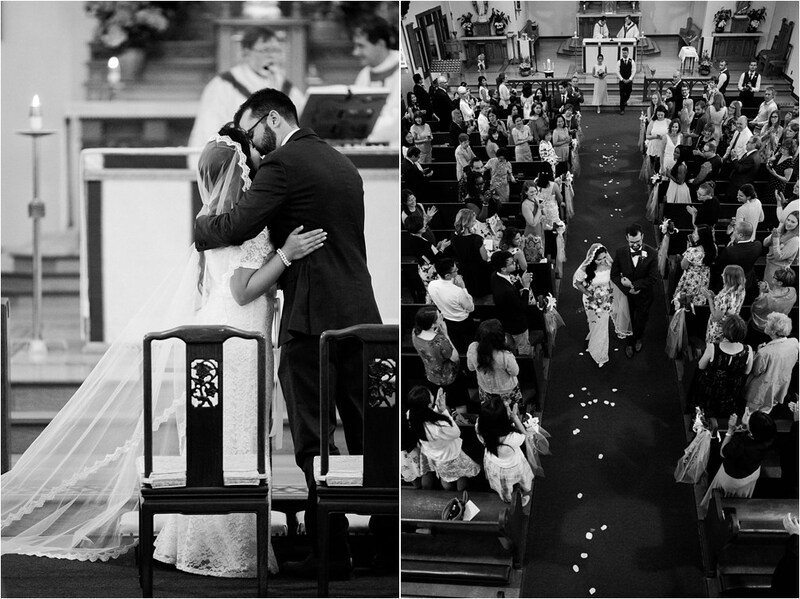 Cameron and Trisha started their day at church, with a traditional Catholic wedding ceremony. 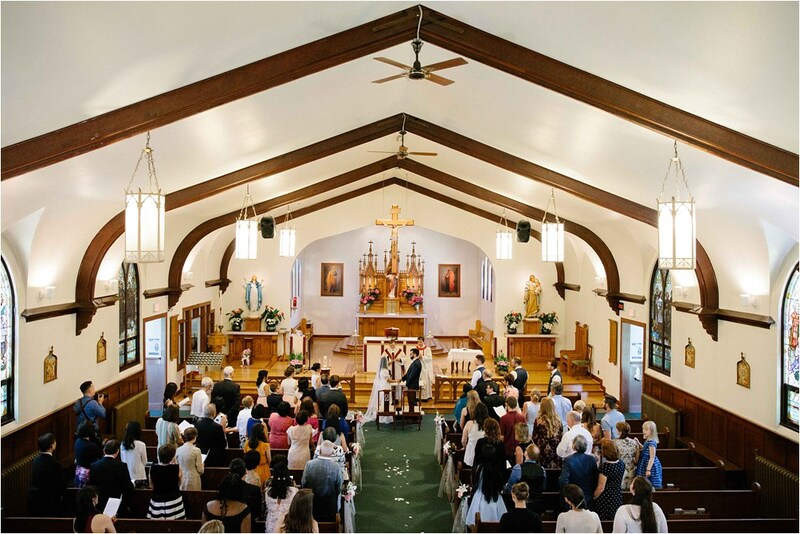 The two are devout Catholics and it was easy to tell how important it was for them to entwine their faith into their big day. 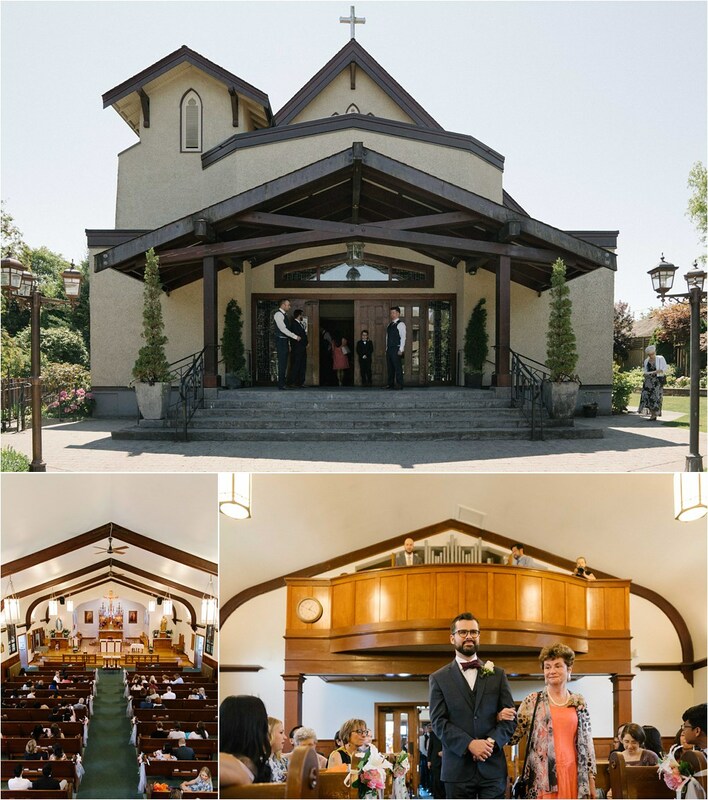 The sanctuary presented beautifully built-in décor with exposed ceiling beams and stained-glass windows. 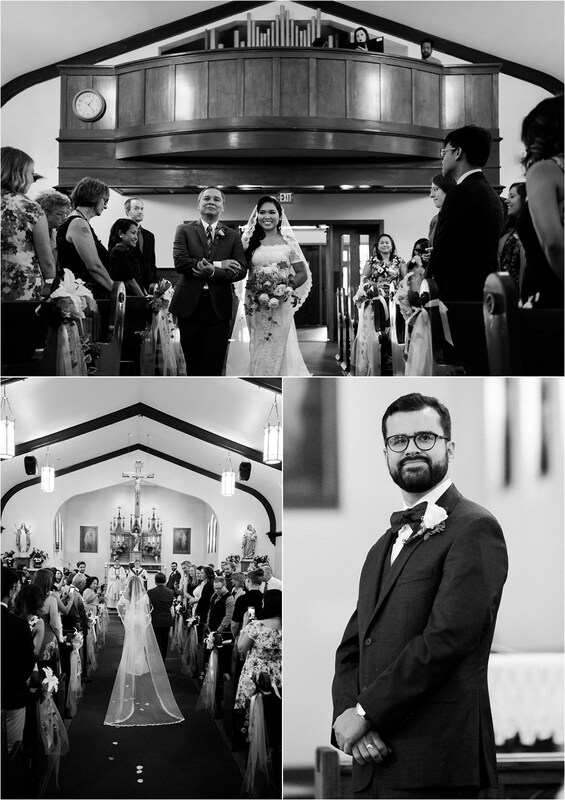 Trisha looked equally beautiful and even regal in her gown and Cathedral length veil. 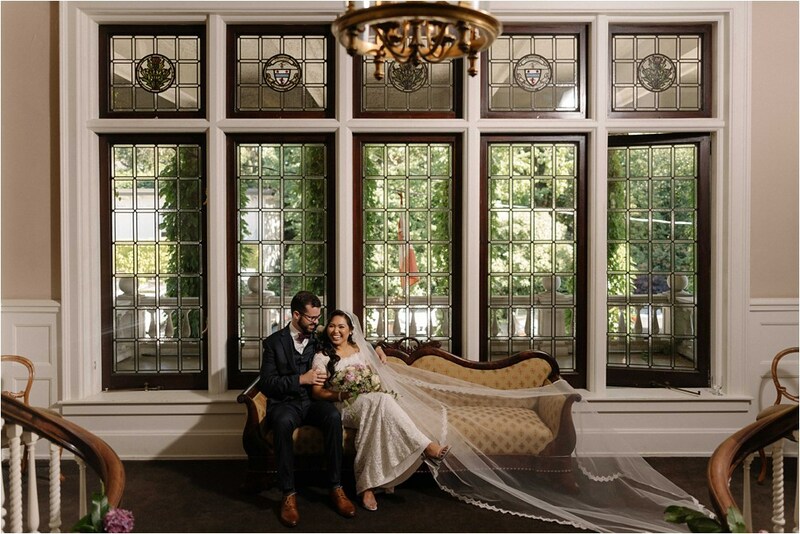 From the ceremony, the bride and groom traveled to Hycroft Manor in a vintage 1930 Beauford Convertible. They were greeted with a champagne toast. 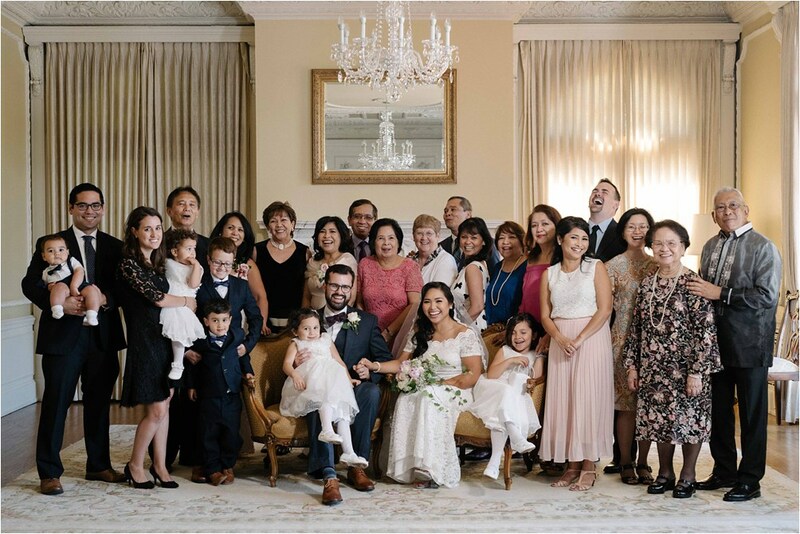 Before entering the reception space, Trisha and Cameron were joined by their family for some portraits. The staff at Hycroft had a great space set up with antique-style chairs for Cameron and Trisha to sit on, surrounded by various sets of family members. Given the venue and set-up, I really felt as though I was photographing a group of royalty. 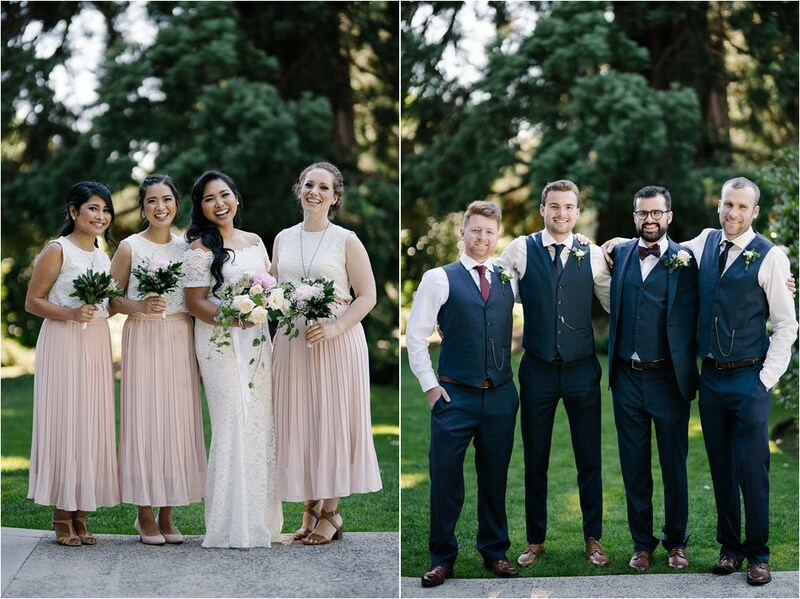 The bridal party elected to have portraits taken at the exterior of the manor and on the surrounding grounds. 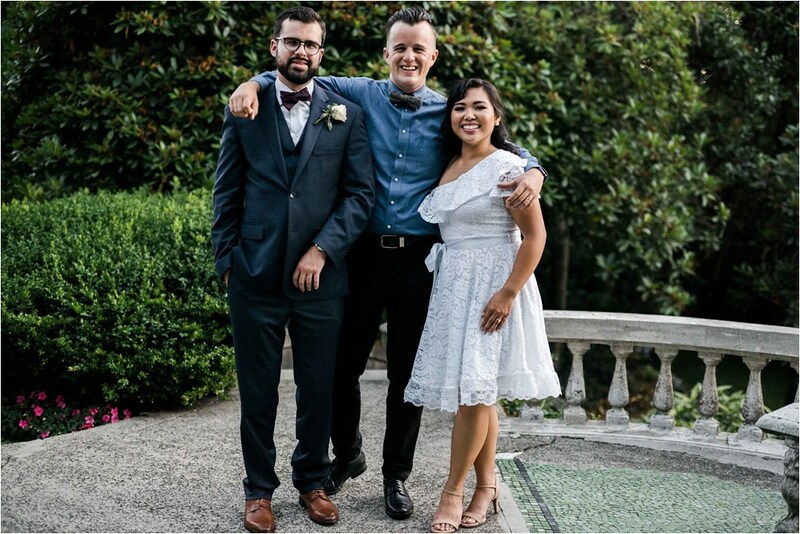 I was also able to capture many portraits of just the newlyweds. 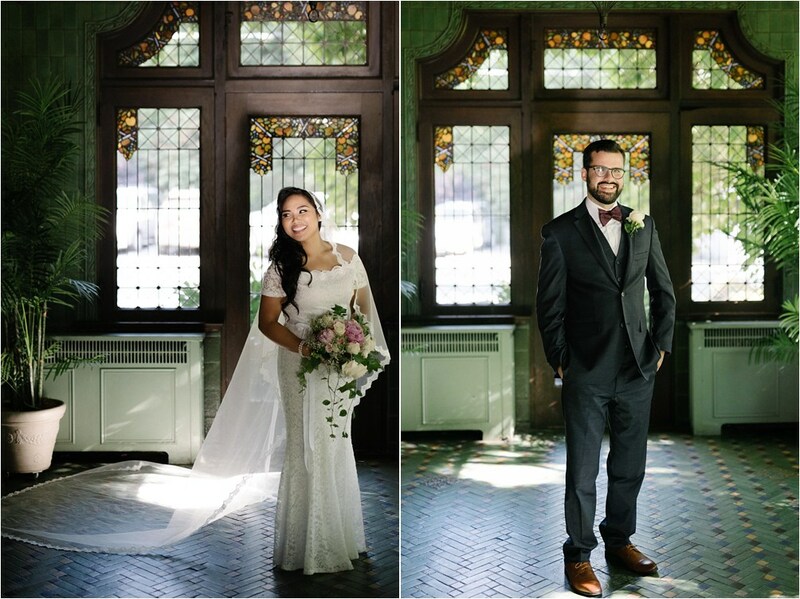 There were plenty of great spaces to get a variety of backgrounds—another great feature of this venue. Many poses were serious and intimate, but I also got to see Cameron and Trisha’s silly side, especially as they were spending time with their closest friends and one-on-one. I adore the moments I captured in what I would call ‘the green room’ where Cameron and Trisha showed a range of seriousness, romantic bliss, and spontaneous dancing. Dinner took place outdoors on the massive terrace of Hycroft Manor. As the night moved on, guests moved indoors for toasts and dancing. 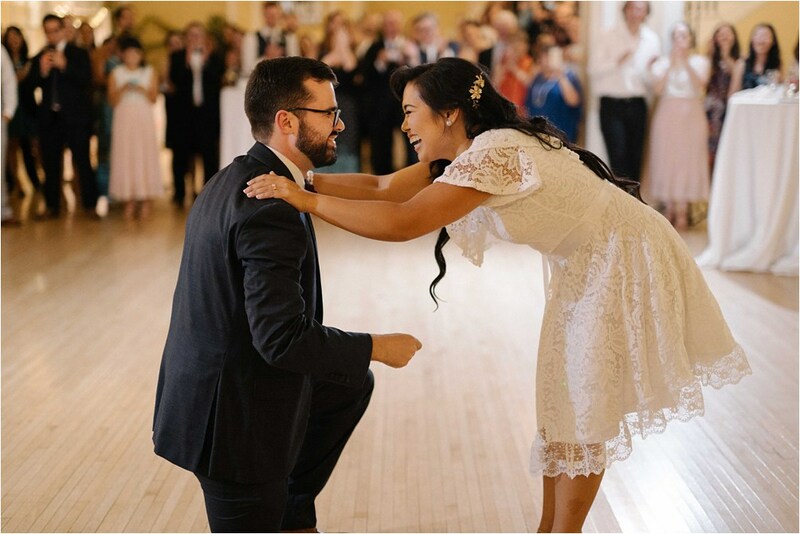 After some of the wedding traditions (cake cutting, first dance) Trisha donned a cocktail length dress that allowed her to dance more freely. 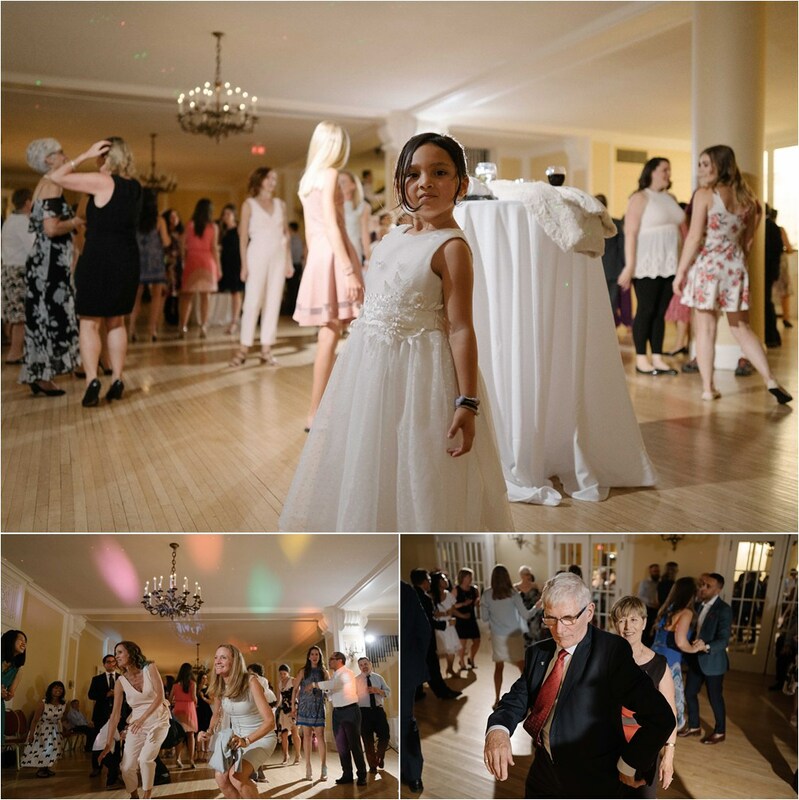 It was lots of fun to see everyone’s great dance moves in the grand ballroom. The couple elected to have their sunset portraits done in the estate gardens surrounding Hycroft Manor, with Trisha wearing her second gown. It was a lovely conclusion to a lovely day. I certainly wish Cameron and Trisha many joyful and seriously silly years!